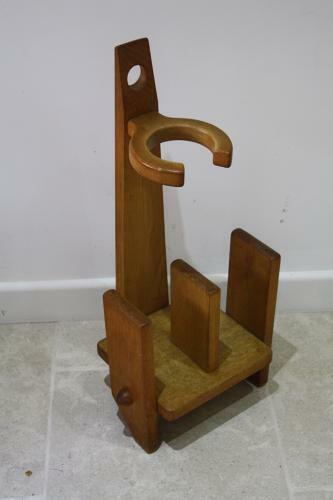 An original Oak magazine rack designed by Guillerme et Chambron, France c1960. Lovely patina to wood and beautifully made. Originally the circular feature would have held a ceramic ashtray or plant pot. We have two available and the price is listed for each piece.